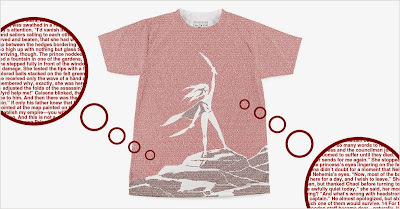 Litographs create literary merchandise made entirely from the text of the work it represents! 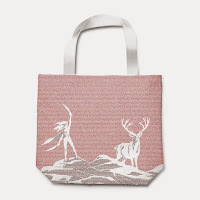 They're products include a wide range of books (American Literature, British Literature, poems, author works/anthologies, etc) and carry their designs in t-shirts, posters, bags, and temporary tattoos. Throne of Glass by Sarah J. Maas! You guys, how amazing is this design!? 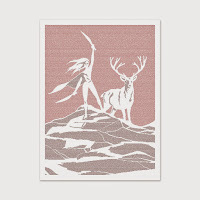 I love that they included the Stag and her two swords! Not to mention, the amazing people at Litographs have been kind enough to offer a little something-something for Bookish readers!